Talking Heads front-man and solo artist David Byrne is embarking on his sophomore musical theater effort, in a piece based on the 1431 trial of Joan of Arc, slated to debut at New York City’s Public Theater on Valentine’s Day 2017. Byrne’s first rock musical, Here Lies Love, gaped at the life of Imelda Marcos through a disco/club scene lens. The award-winning musical ran twice at the Public in 2013 and 2014 and once at London’s National Theater in 2014. Adapted from an album Byrne co-wrote with Fatboy Slim, Here Lies Love was described in its program as “a revolutionary musical experience” and had Byrne’s high-concept fingerprints all over it, with undertones of the Talking Heads rounding out any unfamiliar territory. Lin-Manuel Miranda may have to start looking over his shoulder. 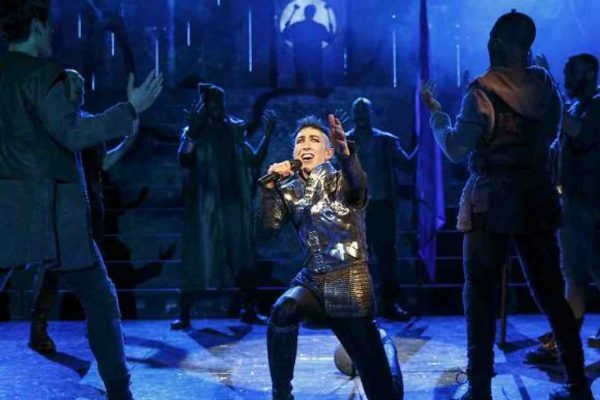 Born from David Byrne’s avant-garde mind and told through his complex melodies and brilliant lyrics, Joan of Arc: Into the Fire may position Byrne as a contender for the historical musical theater crown.